You may have noticed the recent giveaway on my blog, the one where you could win a Trunki Yondi, I also mentioned that I would be reviewing one of these too. 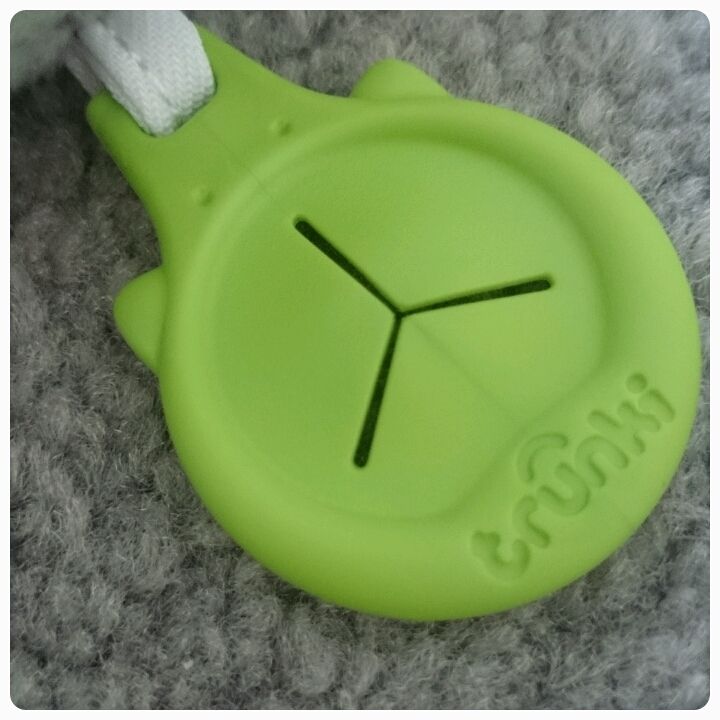 Now you can read on to find out how my kids and I got on with this innovative travel product. 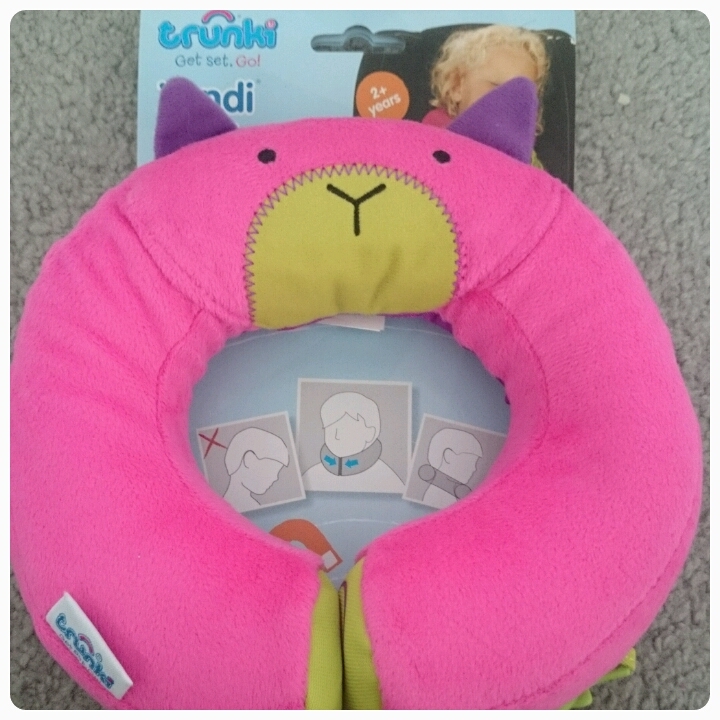 The Yondi is a travel pillow which is specially designed with hidden magnets that connect under your childs chin. 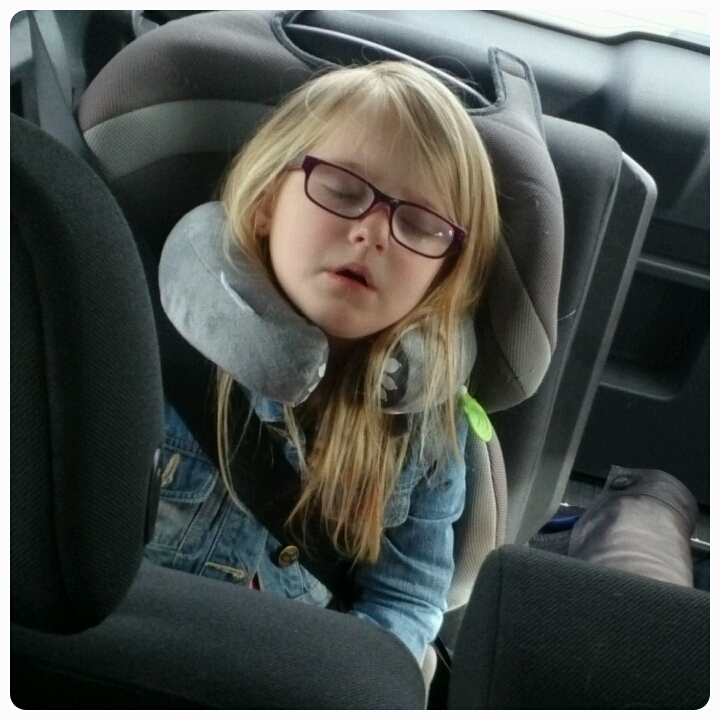 Available in 11 different designs and two sizes, the Yondi is made to be a soft and supportive pillow which stops your child's head from rolling forwards uncomfortably if they happen to fall asleep whilst you are travelling. I was sent one of each size to try. Size small is designed for kids aged 2 and upwards and size medium is aimed at slightly older children starting from age 5. 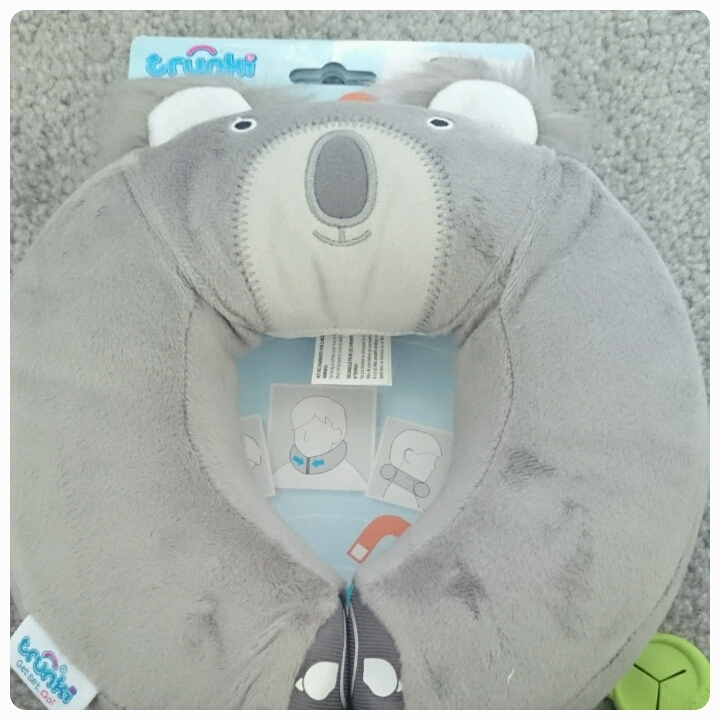 I chose Yondi Betsy for Layla (s) and Yondi Koko Koala for Gracie (m). You can see the difference in size in the photo below. The first thing you notice is just how soft the pillow is. It is made from a plush material which I can see being most kind to your child's skin, it has a real velvet feel to it. A good thing to know is that the beads which are used to fill the Yondi and give it its' plumpness are contained within a separate liner, so if the pillow were to rip for any reason, the beads would still be contained. 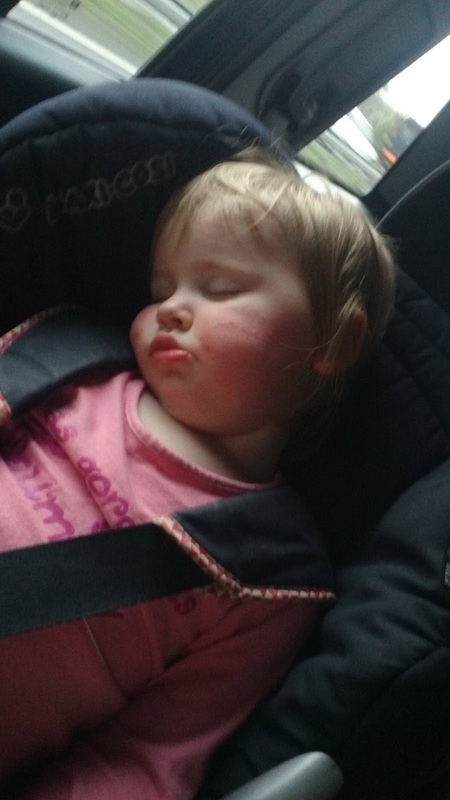 This shows that Trunki really do have your child's safety in mind. A Trunki Grip : This is a great idea, you can attach your child's favourite blanket/comforter to it, a great help to parents when travelling as you don't have to keep struggling to pick it up when dropped. 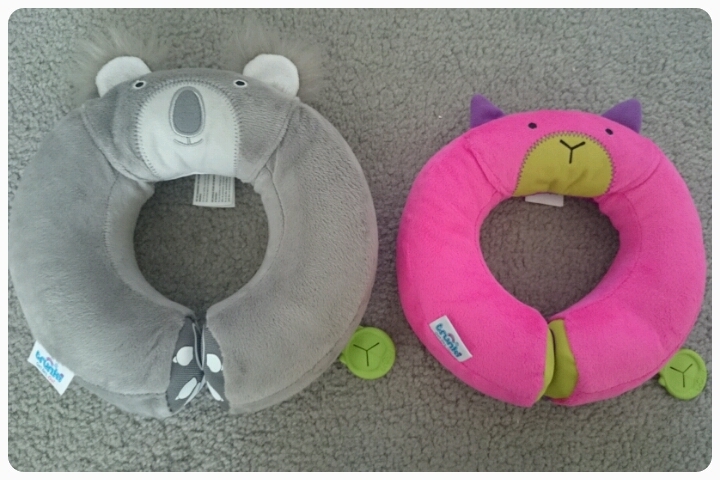 Hidden magnet clasps : This is what makes the Yondi stand out from other travel pillows. The magnets are hidden at either end of the pillow. You can see from the picture below that they've really paid attention to detail, putting a paw design on the Koala one for example. 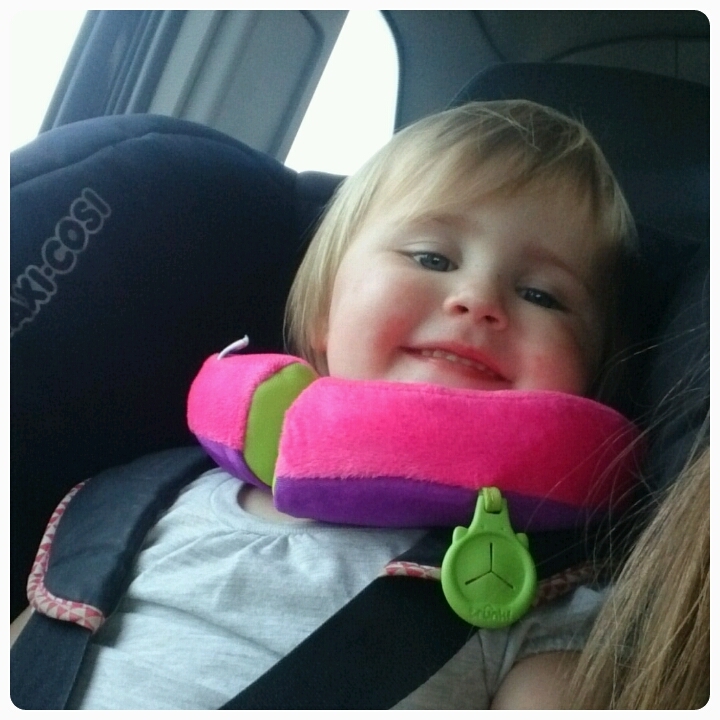 Doing up like this not only stops your child's head from rolling forward but it also prevents the pillow from swinging around or falling off. 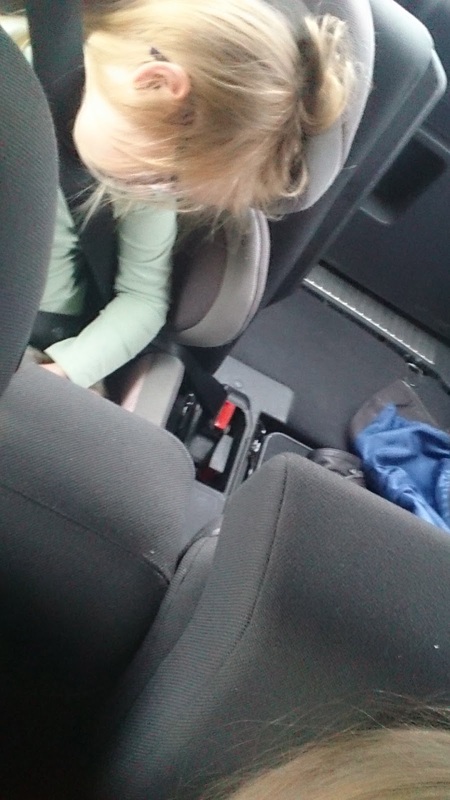 I took pictures previous to receiving the Yondi's to show just how my children used to fall asleep in the car, honestly I don't know how they stayed asleep as it look so uncomfortable. We recently took a trip to London, this was the perfect opportunity to try out the Yondi pillows. The fun, bright designs really appealed to the kids and they were more than happy to put them on. 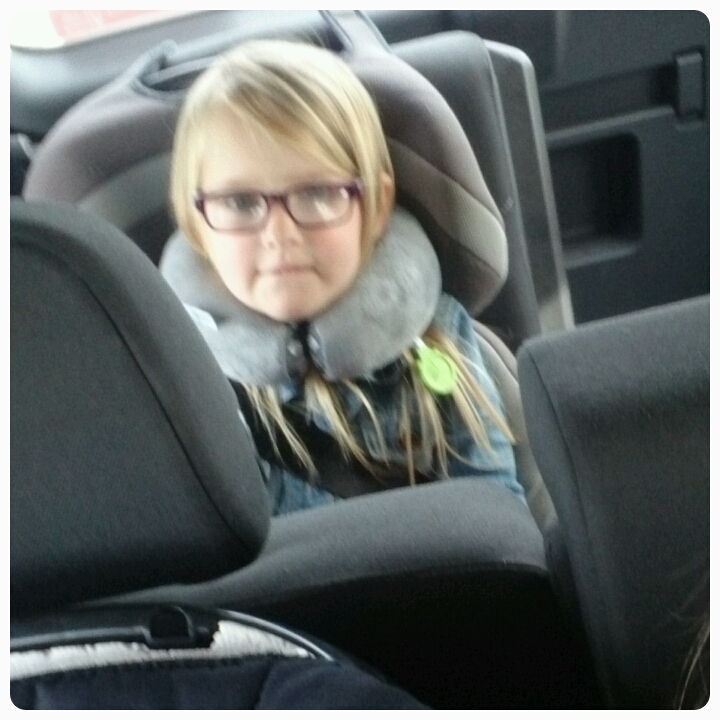 A great fit on each of my girls and both kept them on for the entire journey, this was around an hour and 20 minutes. Now my toddler who normally falls asleep in an instant was I think a bit too excited for her trip so actually remained awake but Gracie who is 5, fell asleep not once but twice, even though she tells me she was just resting her eyes. 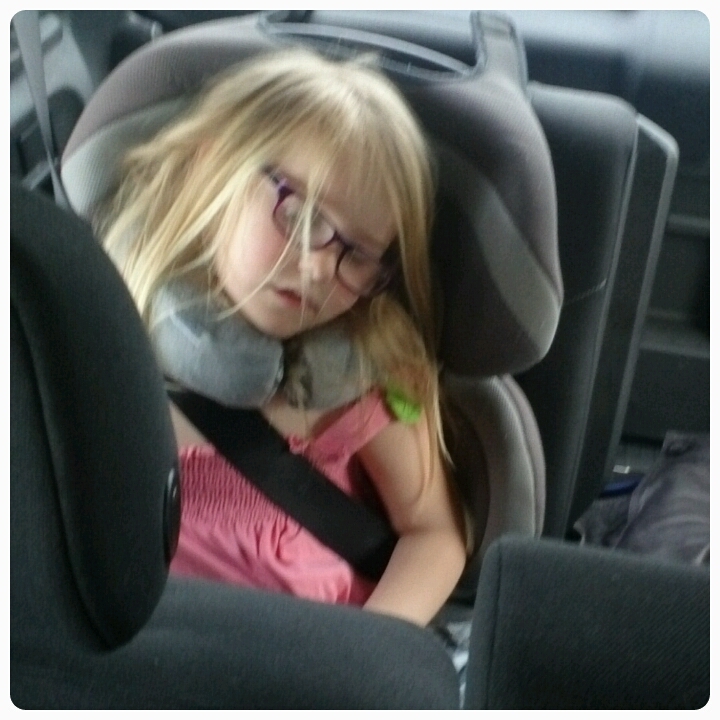 You can see from the photographs below just what a difference the Yondi made to her sleeping position. The only problem we had the first time was that the magnets came undone however her head still remained laying back towards the chair. I'm not sure if it was because of the Yondi but she slept for longer and woke up with a smile instead of her usual grumpy face after napping in the car. My eldest two children who are 7 and 9 also had a try of wearing the Yondi, although they didn't want to be photographed, I can confirm that the pillow fit them both comfortably. With prices being £12.99 for the small pillow and £14.99 for the medium version, I think it is well worth the money. A small price to pay for your child's comfort and a product that will actually last as they continue to grow. Honestly I's love it if they made an adult version!! Disclaimer : I was sent the Yondis FOC however all thoughts and opinions are my own. That's pretty cool, not seen these for kids before - looks like they are more than comfortable with them judging by the sleepy faces!